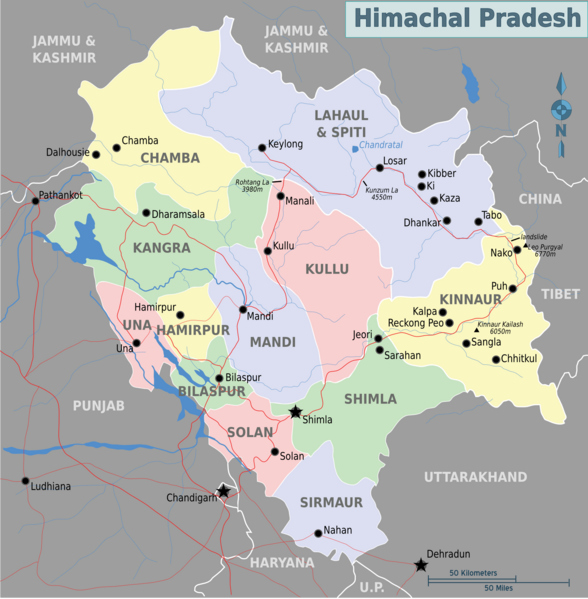 Himachal Pradesh (literal translation: Land of Himachal or Himalayas) is an Indian state which lies completely in the middle and upper Himalayan belt. Aptly nicknamed land of gods, the vast sate can be divided by the several valleys it houses. Each valley has its own major river and characteristics that make it distinct. The Kangra Valley houses the entire Dharamshala district. The only airport in the region is Gaggal Airport at Kangra. District Dharamshala includes Dharamshala (the town), McLeod Gunj, (home of the Dalai Lama, and a Tibetan refugee city), Bhagsu (situated above McLeod Gunj, Bhagsu is a hippy, backpacker town) and Dharamkot. TIP: Do not miss the trek to Triund. Weather permitting, sleep in one of the caves, then trek down to the river for a chilled wash. Next, trek up to the Snow Line Cafe. The valley houses River Beas, Rohtang Pass, and is the beginning point of many treks. A few hours East of Dharamshala, lies Manali, a bypass city or a transit point, with the highest National highway in Himachal Pradesh. 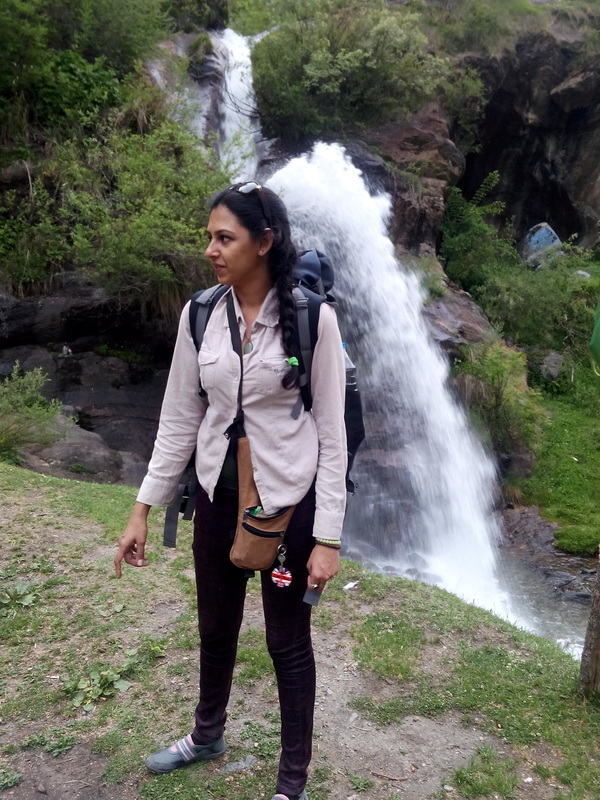 Backpackers usually head up to the quieter and cozier towns of Old Manali and Vashisth with its hot springs. 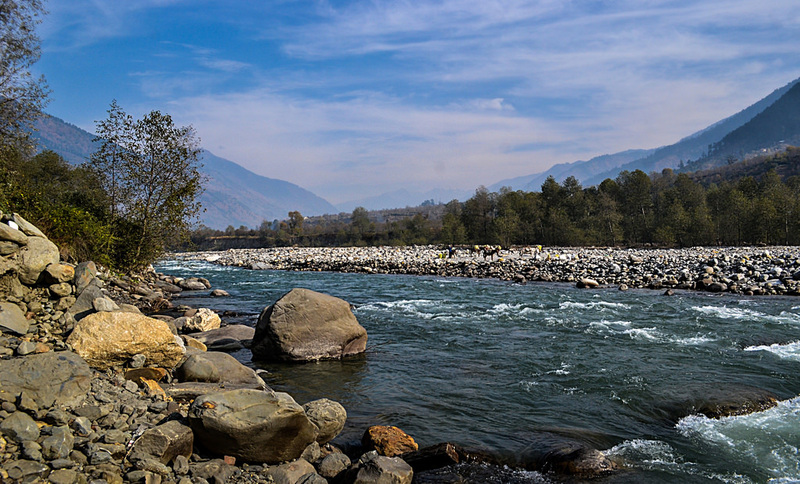 Close to Manali, lies Parvati Valley, the home to River Parvati. Also known as devlok, or abode of the gods, Parvati is a visual treat, with lush green slopes and blue skies, rivers and waterfalls. Parvati Valley is also the Hash capital of the world. The famous Malana charas grows here; festered as black sticky deposits on the ripened cannibus sativa plant which grows common weed in the fertile soil. 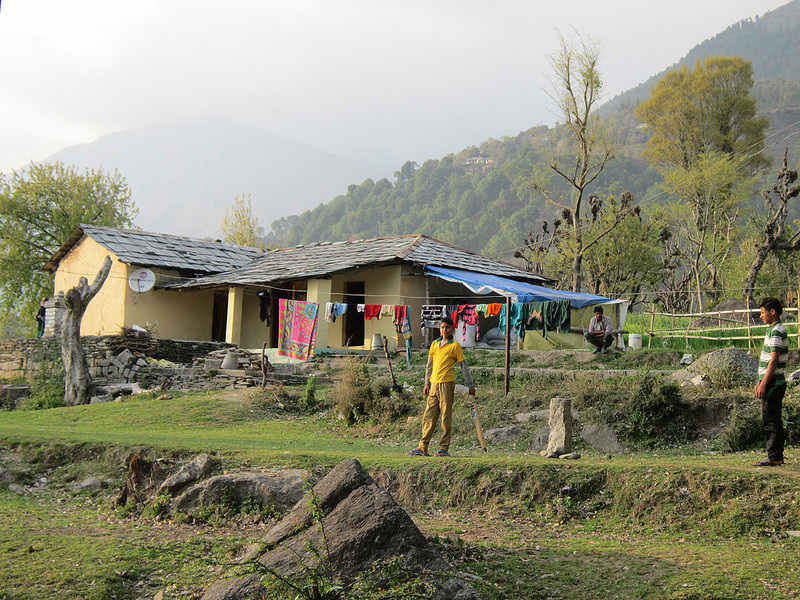 Trek through Kasol and the many villages of Parvati to the hot springs in Kheer Ganga. Much higher in the mountains beyond Manali, at 3,000 to 6,000 m altitude, lies Spiti Valley. Spiti, a high altitude desert, with scaling mountains on both sides and a turquoise river flowing though the middle, is home to some of the highest mountain peaks in the world. Spiti Valley is nothing like anything you have ever seen before. Formed around the River Satluj. Ringed around the River Pabbar. Lies in the Solan district.